FULTON, NY – Edward C. Stone, 74, of Oswego, passed away at his home on Monday, March 18, 2019. He was born in Oswego to Carlton “Gene” and Margaret Stone and was a graduate of Oswego Catholic High School in 1963. Upon graduation from high school, Ed enlisted in the U.S. Navy and served four years until his honorable discharge in 1967. Ed continued to serve his country in the U.S. Naval Reserve until 1969. He was employed for several years as a sheet metal fabricator with Fulton Sheet Metal. Edward enjoyed bowling, hunting and had a passion for hiking in the Adirondacks. Ed climbed all 46 of the high peaks and was member #2364 of the ADK 46-R Mountain Club. 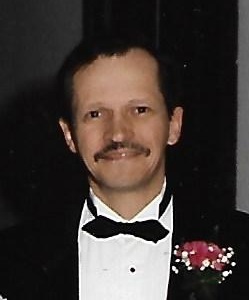 He is survived by his daughter, Stephanie (Brandon) Forsythe of Mexico; his mother and step-father, Margaret and John Grela of Oswego; his siblings, Thomas (Sharon) Stone of Martville, Stephen (Nancy) Grela of Harleysville, Pa., and Ann Marie (Brian) Sawyer of Oswego; three grandchildren, Tyler (Morgan) Kennedy, Ashley (Michael) Barry and Trevor Forsythe; two great-grandchildren, Toren and Roxy Kennedy; an uncle, several aunts, nieces and nephews. He was predeceased by his father, Carlton “Gene” Stone, in 1953. Funeral services will be held at 10 a.m. Saturday, March 23, at Brown Funeral Home, Fulton. Calling hours will be held 4 to 7 p.m. Friday, March 22, at the funeral home, 21 Flood Drive, Fulton. Contributions in Ed’s memory may be made to the ADK 46ers, P.O. Box 180, Cadyville, NY 12918. I am so sorry to hear of Ed’s passing. We graduated together at OCHS. Prayers for his family. Stephanie, Peggy and Tommy, sorry to hear about Eddie. As his Uncle, I feel so bad that I never made enough contact with him. Like so many people you never think of what lies ahead and then it is to late. Rest in peace Eddie, I will be thinking of you.